Parisians and most visitors know that Paris is a city for walking. In addition to the must-see monuments, churches, and museums, whether on the narrow streets or along the broad avenues and boulevards, there are always discoveries to be found. Sometimes, as we wind our way through these rues and avenues, we are passing by interesting things that often go unnoticed, not knowing what we’ve just missed. Other times it’s as if a discovery was meant to be. It’s always a treat to see a placard on a building telling us that some cultural figure from the past lived there, did this, or that, at a specific location. 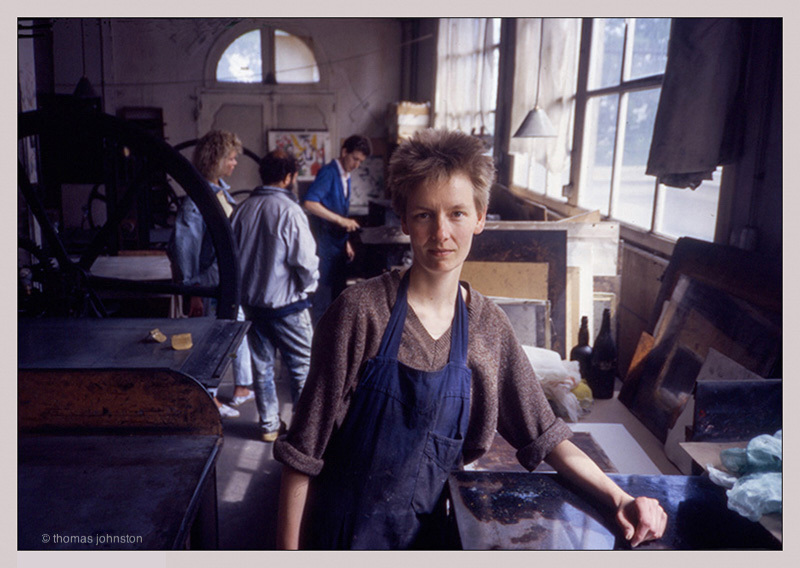 For me, it’s particularly exciting to happen upon a print studio. 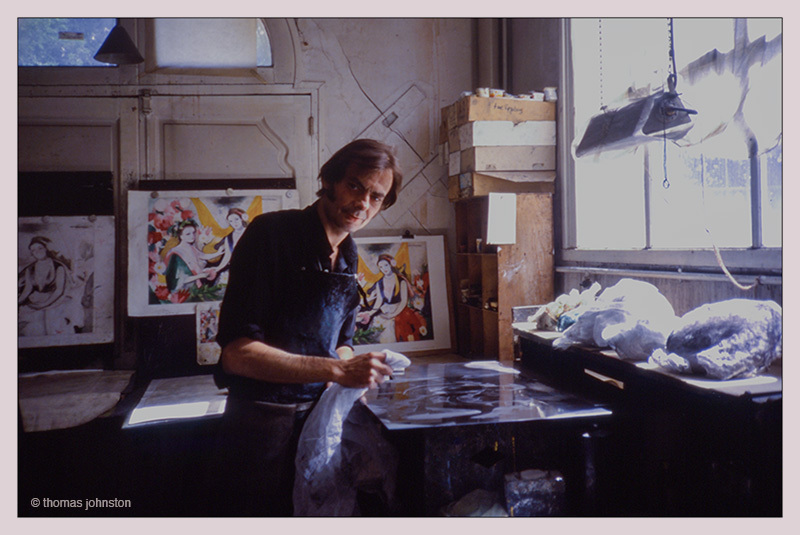 Though I haven’t visited all of them, print ateliers are/were located in various neighborhoods throughout Paris: éditions Maeght, Crommelynck, Desjobert, Dutrou, Tazé, Mourlot, Hayter’s Atelier 17 now Contrepointe, Bordas, Clot, Woolworth, each with their unique approach and specialty. La Basilique du Sacré Cœur de Montmartre is one of the monuments that has drawn countless visitors, up the hill, by tour bus, autobus, taxi, metro, on foot, up the numerous stairways, or by way of the funiculaire. 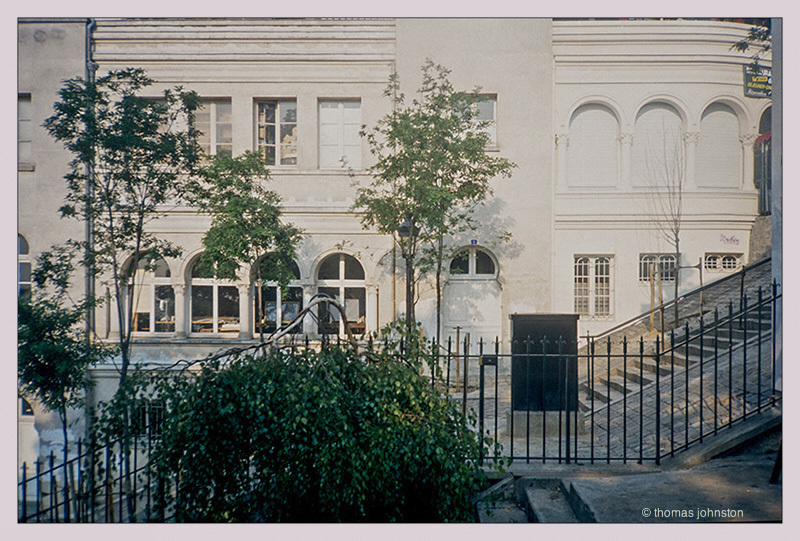 Those who have climbed the stairs or taken a ride on this funiculaire have passed by the entry to the famed Atelier Lacourière et Frélaut, which was located near the top of the stairs, or, when descending, at the first stop down, just beneath the bar and souvenir shop. Many have passed this unassuming doorway, which had no signage to indicate what lay behind it. Enter the doorway, simply marked with the number 11, and one would enter another world, a world where many artists have ventured to work, either independently or at the behest of their publisher or gallerist. 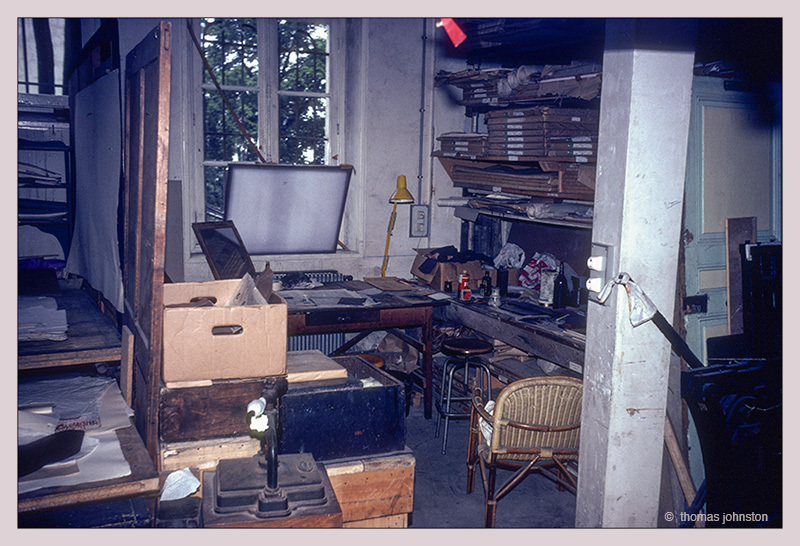 Many of the important artists of the twentieth century worked in this atelier, artists whose names are well known and who did important work with Madeleine and Roger Lacourière, Jacques and Robert Frélaut, and Denise Frélaut-Fischerman and Luc Guerin. 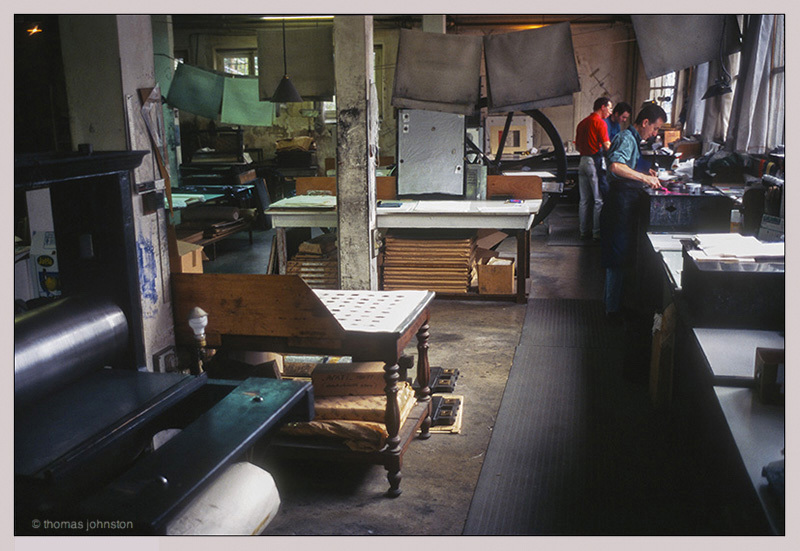 Many printers who served their apprenticeships there went on to establish other highly respected and successful print studios. They welcomed artists and aided them in their quest for creative expression, often collaborating with them in the various processes that Lacourière et Frélaut was known for. 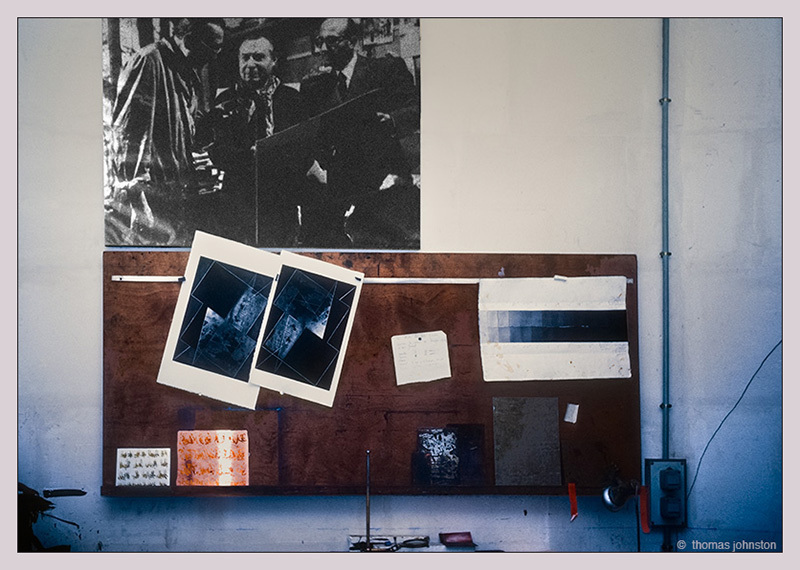 The atelier specialized in gravure — etching, engraving, aquatint, sugar lift, mezzotint, spit-bite — also working with relief processes, and, during the later years of the atelier, lithography. 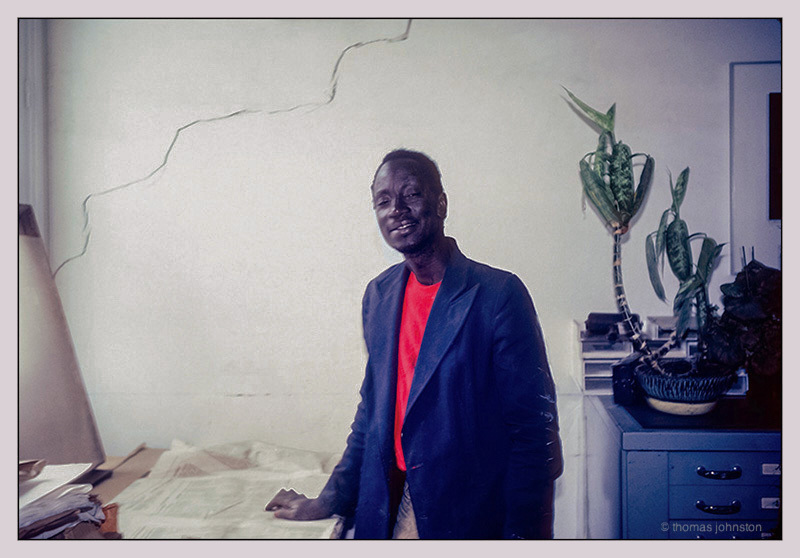 Numerous publications are devoted to the artworks produced by artists who worked there. Picasso began in the 1930s, producing such works as Minotauromachy, and the Vollard Suite. 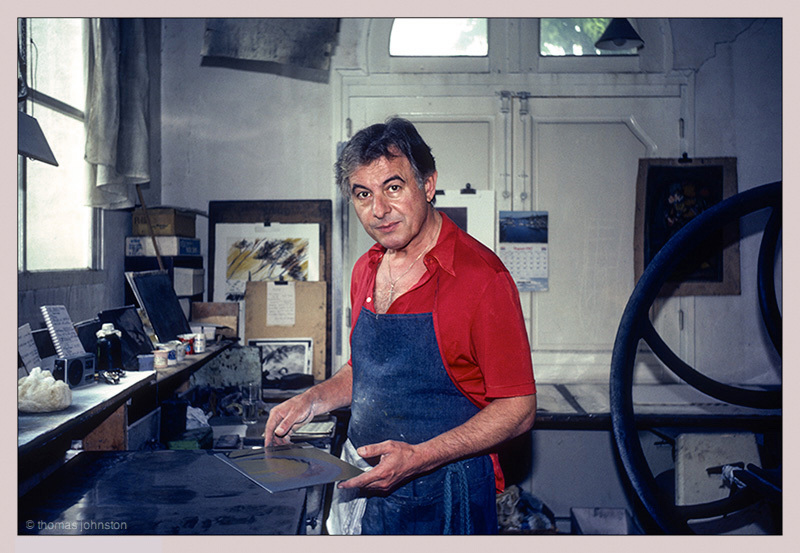 Buffett, Masson, Matisse, Chagall, Dali, Derain, Giacometti, Miro, Moore, Zoran Music, Soulages, Zao Wou-Ki, and younger generations of artists such as Miguel Conde, Dado, Terry Haas, Christian Fossier, Martin Müller-Reinhart, Louis-Pierre Bougie, Marjon Mudde, Lucie Lambert, Emily Wentworth, Francois Roy, and Sonja Hopf also created works there, to name just a few. 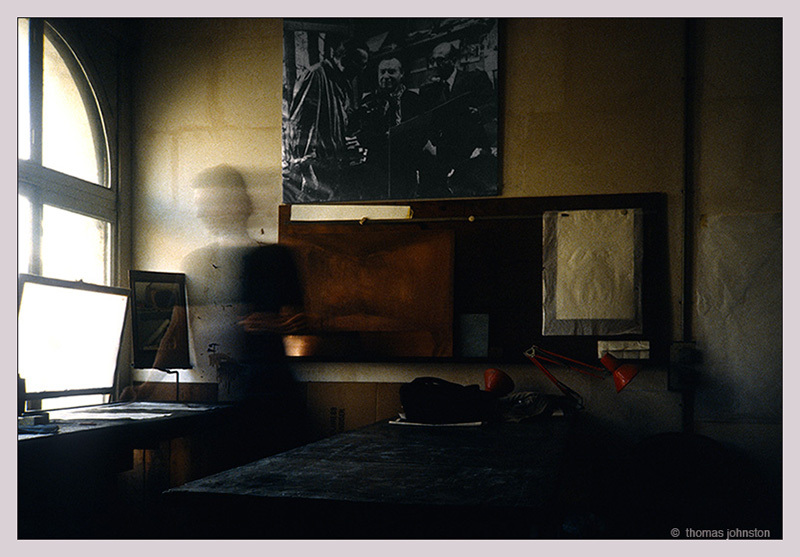 As in many of the other ateliers, artists from around the world go to Paris to work. On my initial visit through the doors at 11, rue Foyatier, I was welcomed by Jacques and Robert, and given a tour of the atelier; on the first level, introduced to Nanie, and then down the narrow stairway to the pressroom on the lower level. 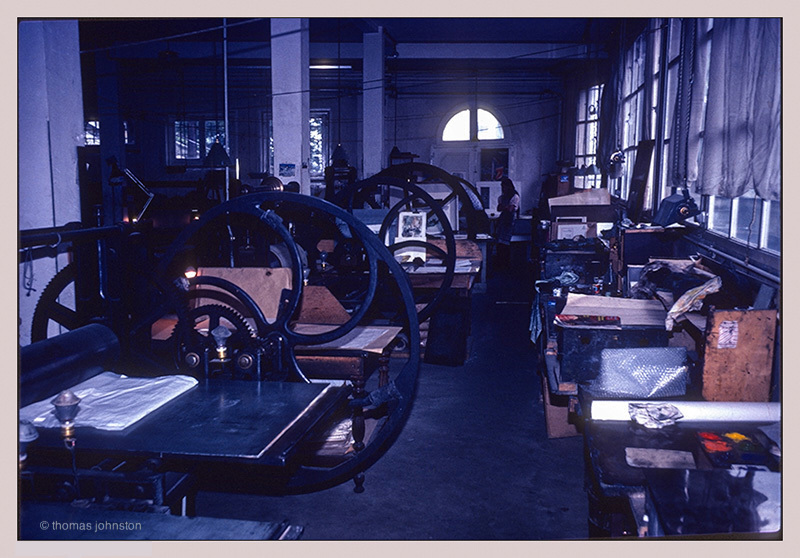 Here the plates were proofed and editioned on the massive presses arranged along the wall of windows, or on the smaller presses more centrally located. 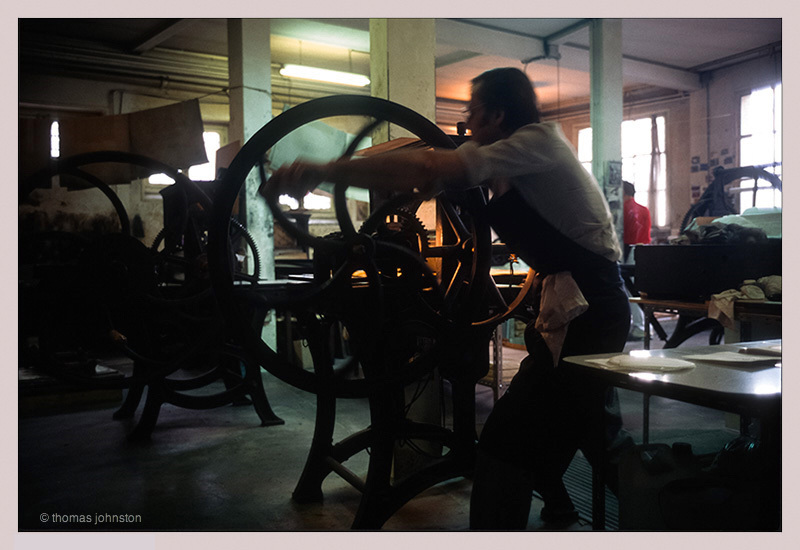 Each of the master printers worked at their individual stations with their dedicated tools and materials at their presses. 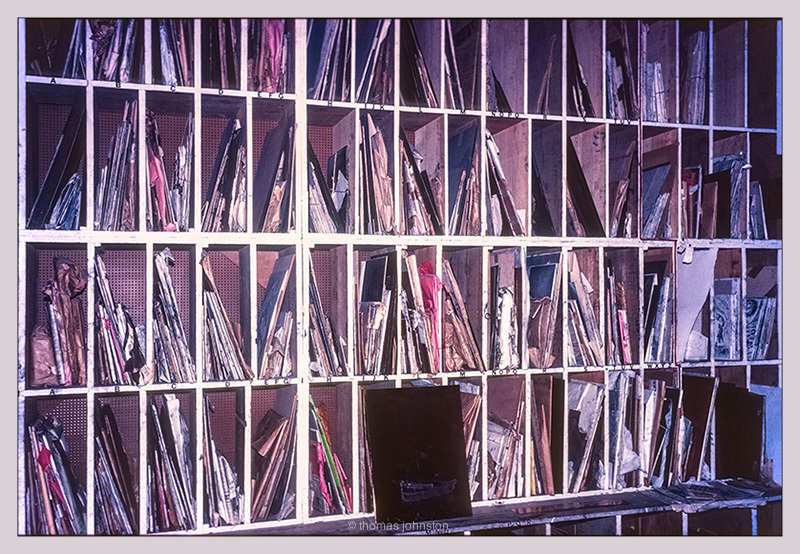 During this first visit, I noticed an alphabetized library of copper plates lining the interior wall, each wrapped in a proof pulled from the plate. It was an exciting afternoon and as I was well aware of the legacy of this atelier, I asked if any of Picasso’s plates were still in this library. 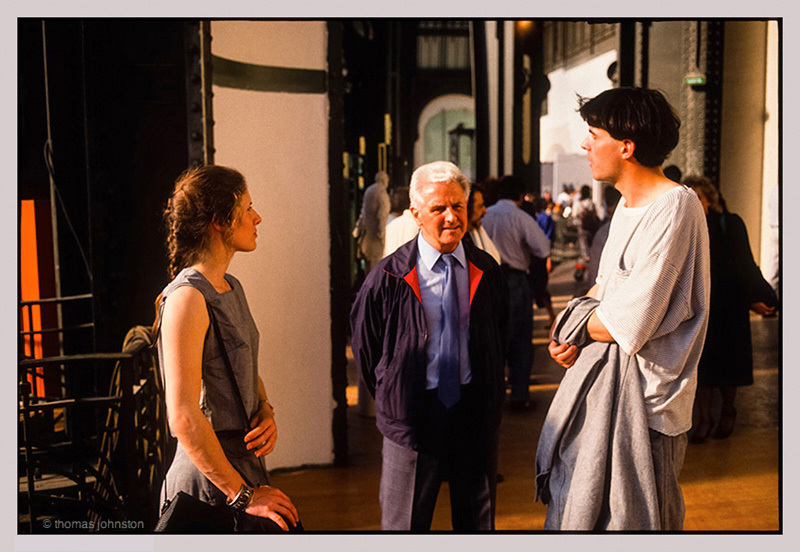 Both Jacques and Robert apologized, saying that 100 plates had just been donated to the Museé Picasso. And, not skipping a beat, casually reached over and pulled out a plate, at random, and handed it to me. Go ahead, they said, unwrap it. I could see from the proof covering the plate that it was by Marc Chagall. They continued to show me around the atelier — paper prep area, the acid room, the work areas for artists — and then we looked at a few prints from their collection. As we were about to leave I went to get my portfolio and they asked to see what kind of work I did. I opened the portfolio and showed a selection of works I had been working on the past few months. 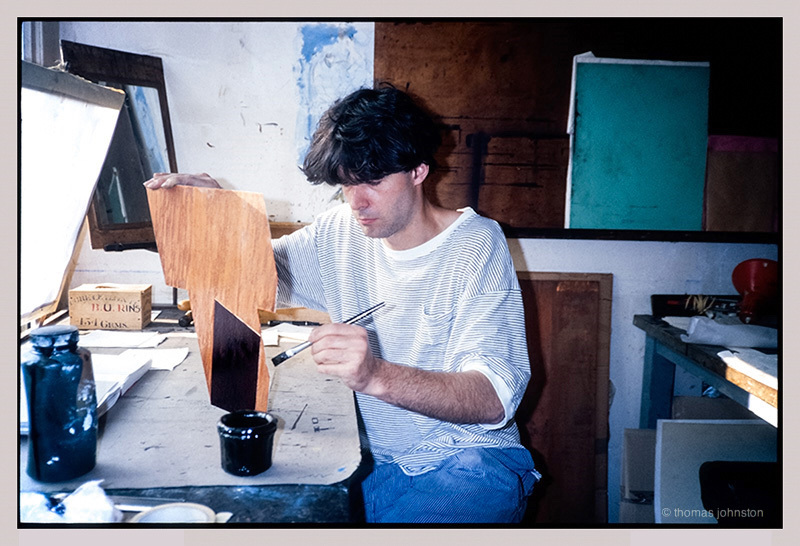 Based on that work I was invited to work at the atelier, and it was made clear that it was not a school for instruction, it was a place for artists to work. Thus began an exciting new chapter for me. The next week I bought some new copper plates and returned to the atelier and was welcomed by the Frélaut family. 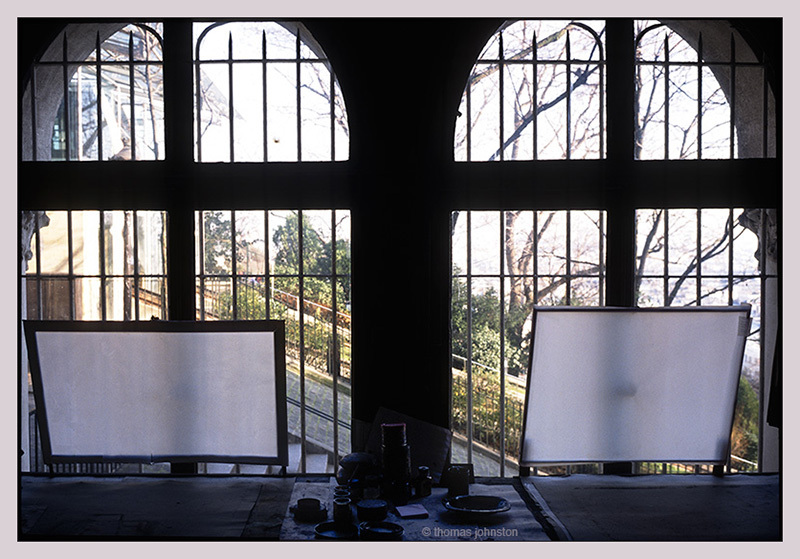 Aside from the actual work of making art, the ambiance of working in this atelier provided me inspiration, as well as a place to make work, resulting in numerous, unforgettable experiences and lasting friendships. 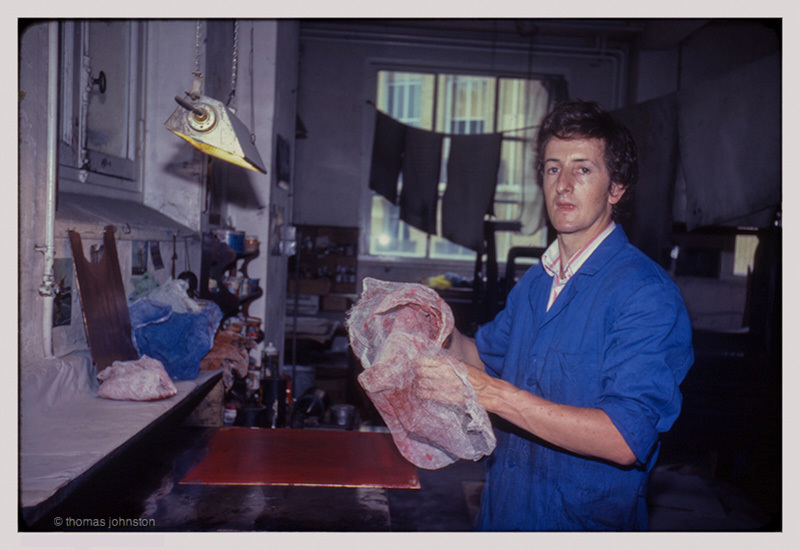 On the first morning Jacques gave me a more detailed tour of the atelier and set me up with a place to work. 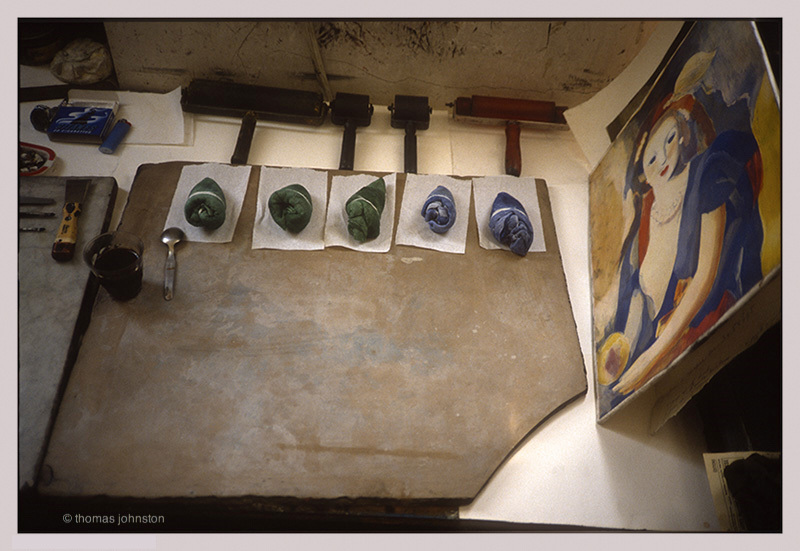 His enthusiasm was infectious and as he was clearing a place for me, he picked up some tools he had customized decades earlier, for Chagall. He explained why he made them, since on initial viewing, they looked unusual when compared to how they would look if you had just bought them. Jacques had retooled the cutting blades to work in reverse, explaining that Marc preferred to pull the tool toward him as opposed to pushing the blade away. Looking up at the shelves above the work table, I saw stacks of handmade rag papers — packages of 100 sheets, all with a publisher’s watermark from an earlier era. Once my workspace was set up I knew it was time to get to work. 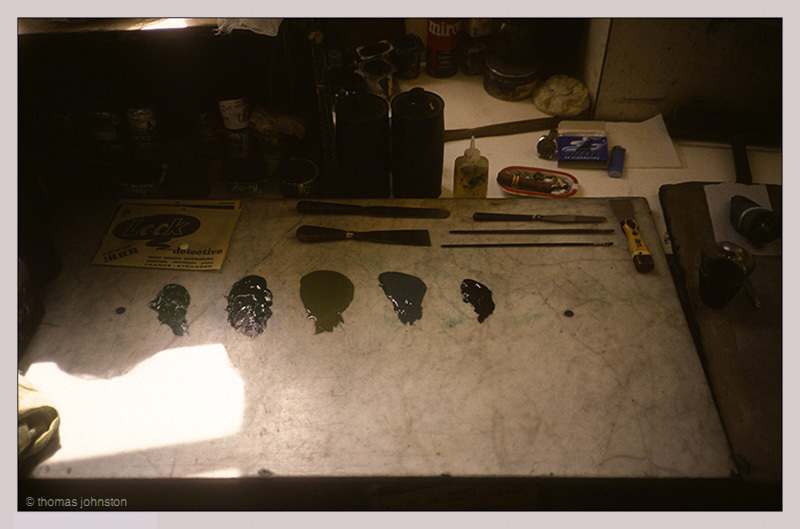 Jacques returned and showed me his approach to aquatint. Rather than try to describe the myriad of thoughts going through my mind about the history, inspiration, impact of working at this atelier, I’ll just say that one thing I always try to do is to go beyond what I have done before, and learn something with each new experience from where and with whom I am privileged to work. I have written about some of these experiences in earlier posts Metro and Primary X². One memorable afternoon I was invited downstairs for what I thought was going to be a coffee break. It was immediately clear that someone special was visiting the atelier. 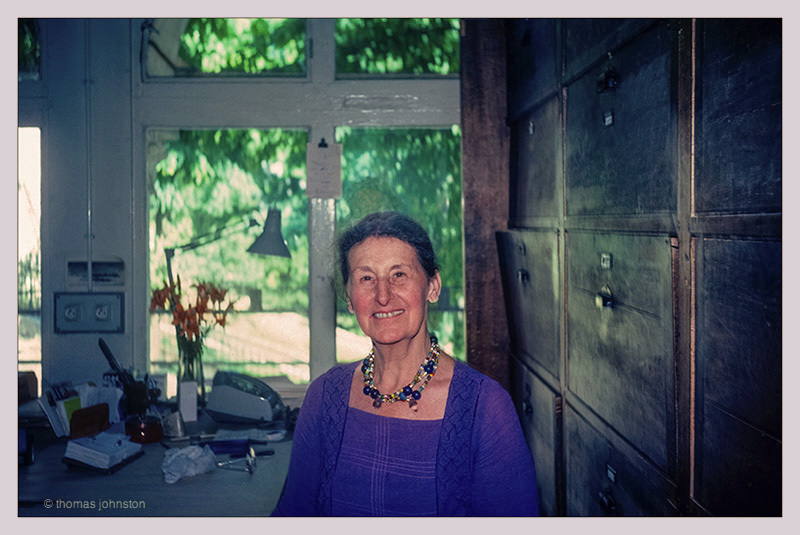 Madame Lacourière, widow of Roger, had stopped in to say hello and see what was happening these days in the atelier. A table was cleared, paper laid out, and soon we were sharing an excellent bottle of wine, delicious fromage and a baguette. That was during my first few months of working at the atelier, and I knew I would return for future projects as often as possible. Has anyone taken over this studio. 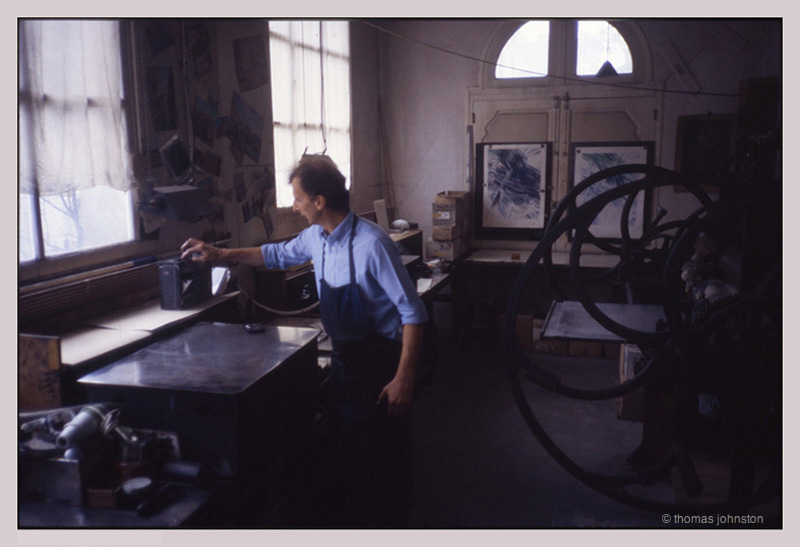 If not can I recommend an etching studio to visit or perhaps work in (in Paris). I am looking at visiting from Australia later in 2019.
it was a grand honor to know Serge! Anyone have any news about Olivier Guérin? Des novellas d’Olivier? Qu’est-ce qu’il est devenu? Et les presses- après la fermeture de l’Atelier? Etaient-elles dispersées parmi d’autres ateliers? Et l’ancienne presse en bois qui se trouvait près des bureaux? Où est-elle? 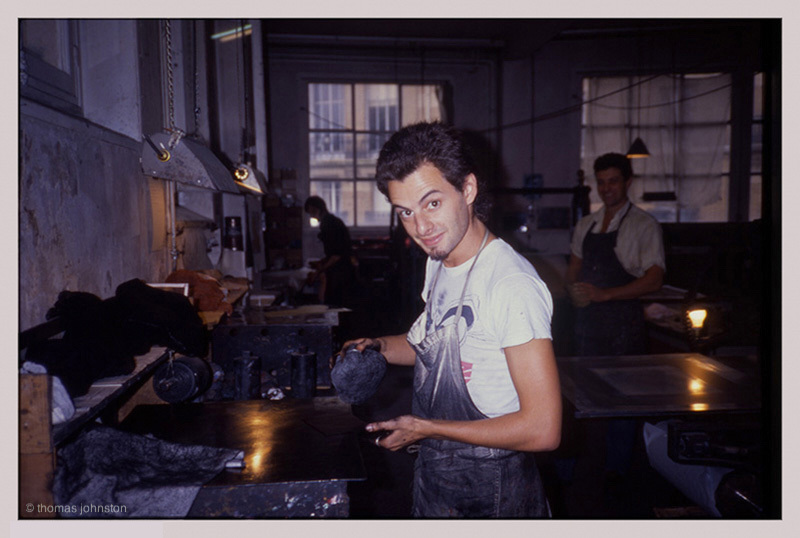 I just discovered this link to the print shop where I worked for over 20 years especially between 1980-83 when I was living in Paris. I was a friend of Martin Müller and Marjon Mudde. I have loved so much to work there and to have the etching plates printed by Carlos, Olivier and Luc for books that I published. A lively working and meeting place. Thank you so much for those pictures that are so meaningful to me. Superb photos. I have been living in Vancouver for 31 years working only with woodblocks.